Fighting a Hudson DUI arrest on your own? It isn’t easy! You need a tenacious Hudson dui attorney to fight your dui case for you! At the law office of Finebloom, Haenel & Higgins we have aggressive and experienced dui attorneys in Hudson who are eager to represent you! Dui charges are some of the most aggressively prosecuted crimes in Florida. The State prosecutors have an endless supply of funding and resources available to turn your arrest into a conviction. But that does not mean you should give in! By hiring a dui attorney Hudson residents take the first step in protecting themselves against the State’s aggressive tactics. There are several reasons to fight a dui charge. The first and most important is that it is your constitutional right. Under the law you are innocent until proven guilty. Although with the current laws set in place you may not realize it. As soon as you are arrested for dui, the dui officer will take away your driver’s license. This happens before you leave the jail. If your blood or breath alcohol level was over a .08, the Florida Department of Highway Safety and motor vehicles will suspend your license for at least 6 months. Think you can avoid this by refusing to blow? If you refuse to give a breath sample then the suspension is 12 months!! All of this occurs before you even formally charged with DUI!!! You only have 10 days to challenge this suspension. When you hire a dui lawyer in Hudson right away to protect you, he or she can take the necessary steps with the DMV to try to protect your driving privilege. Sometimes when you try to fight a case on your own, State Attorneys and law enforcement officials will try to keep evidence from you. This is because you may not known the proper way to make the request. When you hire a dui lawyer Hudson officials know they can’t play games with your records. Not only will the experienced dui attorney force the local officials to provide your records, but the attorney will order records from supporting agencies such as FDLE in order to explore every possible defense available to you! The maximum jail sentence for a first time dui is six months. Unless you blew over a .15, then it is nine months. If you receive subsequent dui convictions the penalties greatly enhance! To make an informed decision you need the best information. At the office of Finebloom, Haenel & Higgins our Hudson dui lawyers are prepared to discuss every possible option with you. We have over 30 years of combined experience in dui defense. Let us help you receive the best possible outcome. 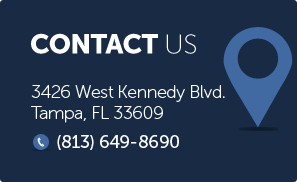 Call us now at 813-200-4412. Our dui defense attorneys are standing by 24/7 to speak with you. Let us help you fight your case today!